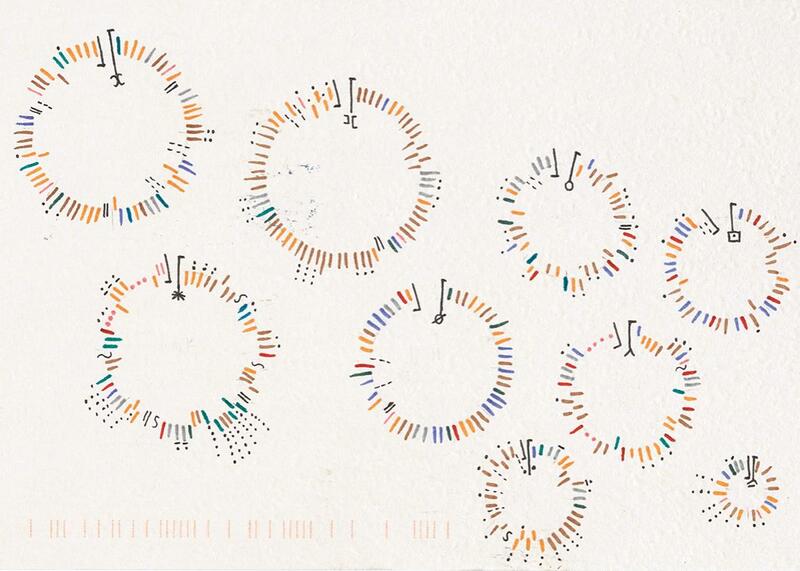 Postcards from Dear Data show gorgeous hand-drawn data visualizations. 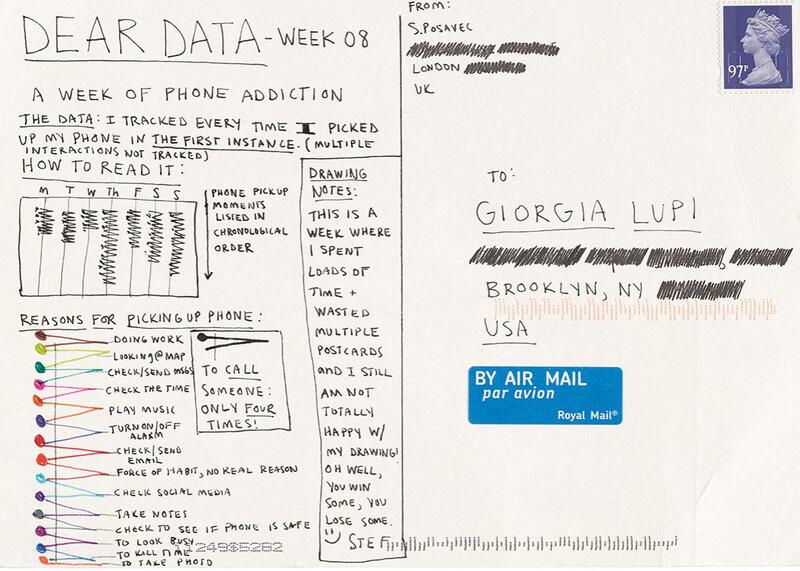 Postcards show gorgeous hand-drawn visualizations of one week of phone use. This essay is adapted from Dear Data by Giorgia Lupi and Stefanie Posavec, published by Princeton Architectural Press (2016). The two of us only met two times in our lives before starting this laborious personal project we called Dear Data. In these two moments, we discovered we have seemingly lived parallel lives, personally and professionally, sharing incredibly unique similar stories: We absolutely needed to get to know each other better. But we didn’t become friends by chatting in cafés and bars or on social media. 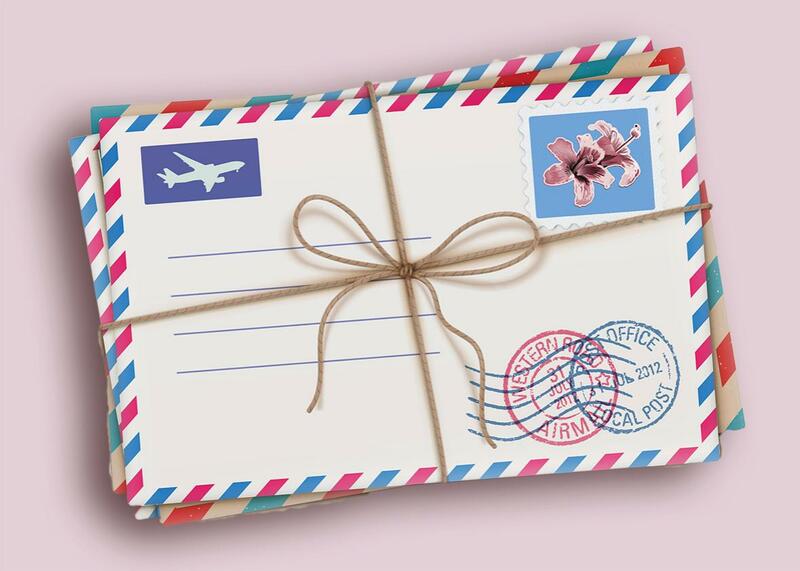 Instead we started an old-fashioned correspondence with an unusual twist. Each week, for a year, we chose a particular subject on which to collect data about ourselves: how often we complained, or the times when we felt envious; when we came into physical contact and with whom; the sounds we heard around us. 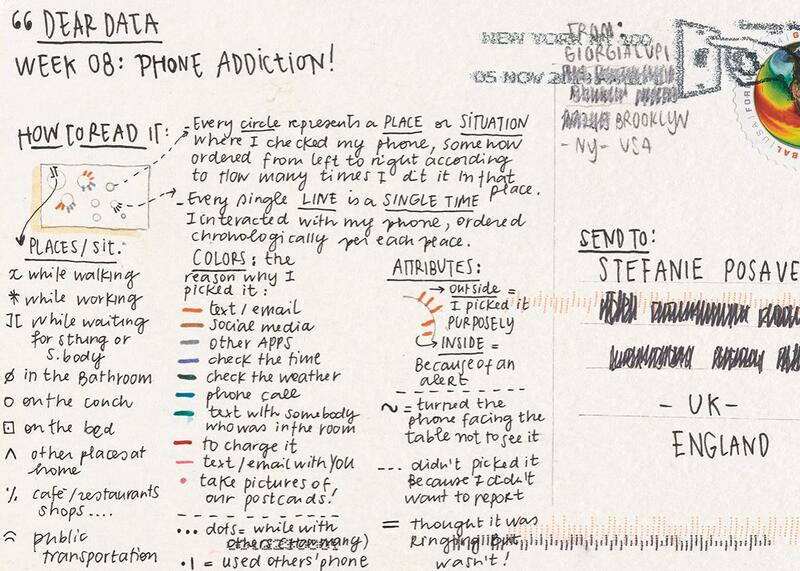 We then created a drawing representing this data on a postcard-size sheet of paper and dropped the postcard into an English post box (Stefanie) or an American mailbox (Giorgia). 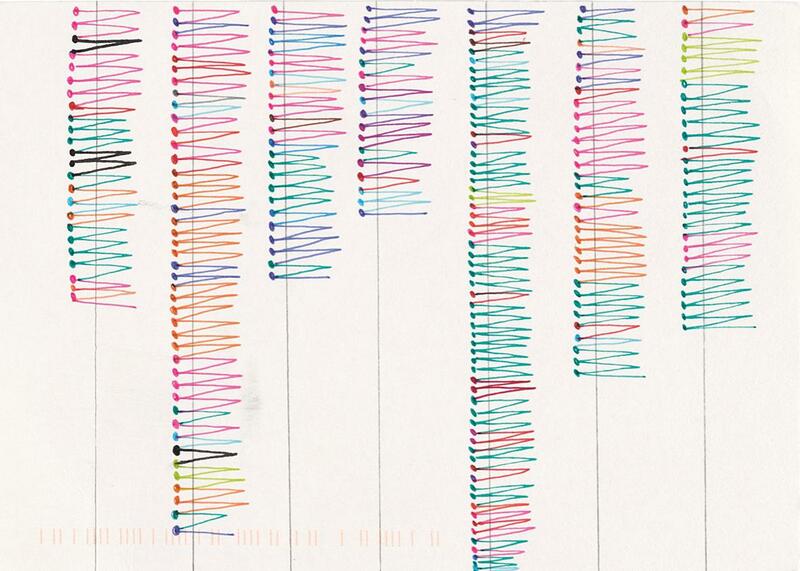 Over the 52 weeks, collecting data about our lives became a kind of ritual. We would spend the week noticing and noting down our activities or thoughts, before translating this information into a hand-drawn visualization. On the front of the postcard there would be a unique representation of our weekly data, and, on the other side (in addition to the necessary postage and address), we would squeeze in detailed keys to our drawings: the code to enable the recipient to decipher the picture, and to fantasize about what had happened to her new friend the week before. We started Dear Data as a way to get know each other through our data, the material that is most familiar to us. But we soon found we were also becoming more in tune with ourselves as we captured the life unfolding around us and sketched the hidden patterns we discovered in the details. By noticing our behavior, we were influencing our behavior. We believe data collected from life can be a snapshot of the world in the same way that a picture catches small moments in time. Data can describe the hidden patterns found in every aspect of our lives, from our digital existence to the natural world around us. Besides finding data in the world around us, we are all creating data just by living: Our purchases, our movements through the city, our explorations across the internet all contribute to the “data trail” we leave in our wake as we move through life. This data is being collected, counted, and computed—on a massive scale by companies and institutions seeking insights and answers, and on a smaller scale by individuals seeking to understand more about themselves, using data to “quantify” the self and become more efficient, optimized humans. Because of this, we are said to be living in the age of “Big Data,” where algorithms and computation are seen as the new keys to universal questions, and where a myriad of applications can detect, aggregate, and visualize our data for us to help us become these efficient superhumans. We prefer to approach data in a slower, more analog way. Instead of using data just to become more efficient, we can use it to become more humane and to connect with ourselves and others at a deeper level. Week 8, A Week of Phone Addiction (front). Week 8, A Week of Phone Addiction (back).